Street Photography - Made in German | Out now! 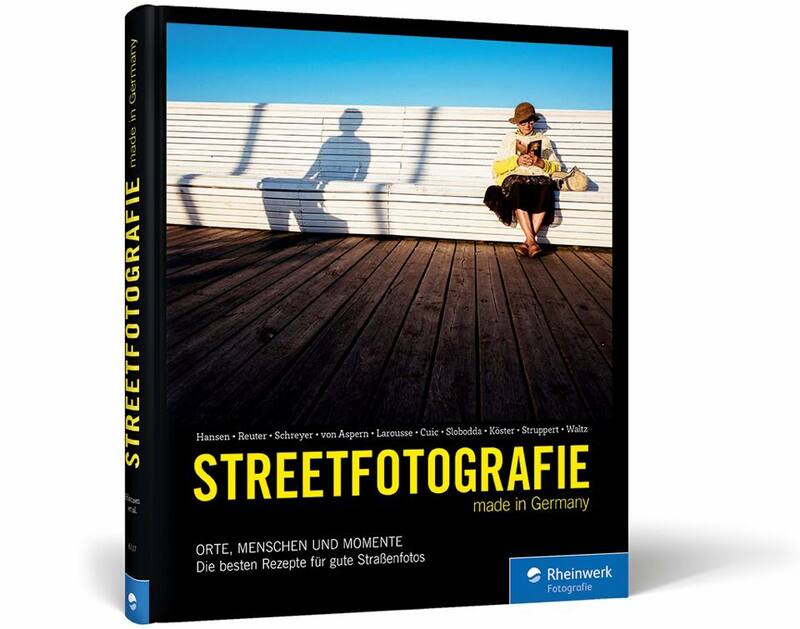 "Streetfotografie - Made in Germany" is a Street Photography Book written by German Street Photographers like myself and Siegfried Hansen, Martin U Waltz, Kay von Aspern, Fabian Schreyer, Torsten Köster, Christopher Reuter, Max Slobboda, Marco Larousse and Mario Cuic. I'm very proud and feel honored being one of the bunch of German Street Photographers. I hope this book will inspire and motivate lots of other street photographers to keep on shooting! The book is currently available only in German and can be ordered from today on, click here to get further information. I am very pleased to announce that I am part of the German Street Photography Site. The site was founded to create awareness for street photography as an art form and to provide a promotion and information hub for street photography in Germany. Thanks a lot to the founders Siegfried Hansen, Marco Larousse and Martin U Waltz - I am very proud being a part beside these incredible Street Photographers. I am feeling very honoured being the guest curator this month for the Women in Street Facebook Group. I choose this month the theme "Street Minimalism". Feel free to join the group and participate. There are already fantastic submissions and it will be really hard to choose the best! The best shots will be published on the Website Her Side of the Street. 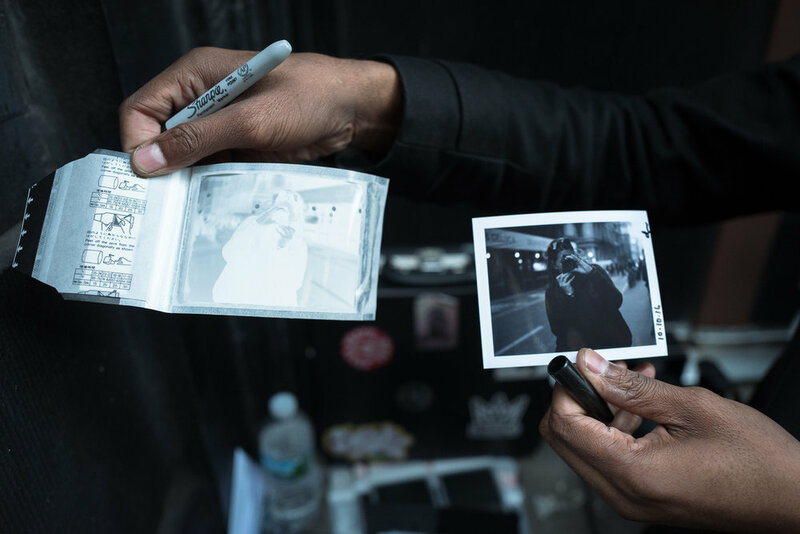 Last week in New York I walked into photographer Jean-Andre Antoine. 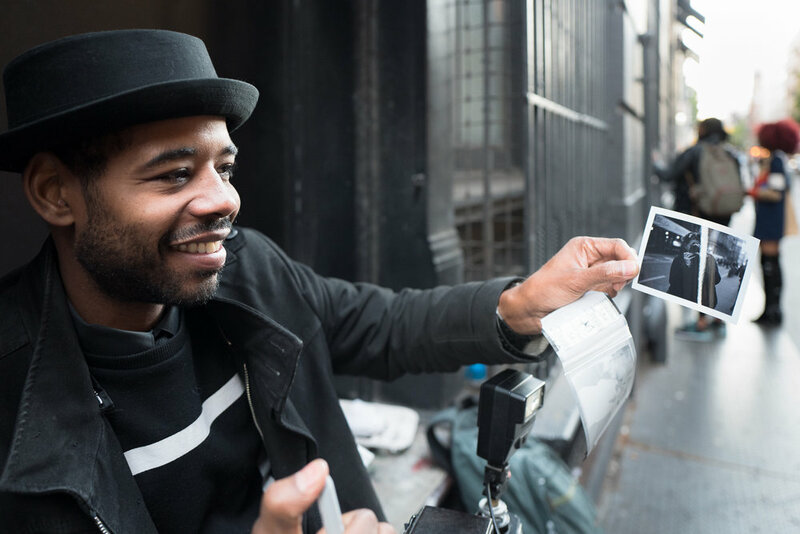 Equipped with his vintage film cameras he is taking street portraits of people walking by. You can find him at the corner of Broadway / Spring Street in Soho. Beside the great photographs he take, he is a super nice guy. When you are in New York you shouldn't miss to get a portrait shot of him. You can follow Jean-Andre's work on his Instagram profile: jaaphotos and or find out more about his work on his Tumblr site.